Recently, I was talking to a friend about my recent road trip to the East Coast. 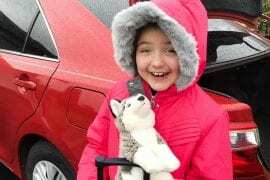 As I was telling her some of the details, including the two times we saw a bear in the Smoky Mountains, the conversation turned to her asking about some general recommendations about where to stay and what to do. She then asked me what I would consider essential for our travels. I hadn’t really given it much thought before. Our needs have certainly changed since we began traveling as a family. We are out of the baby stage since our youngest is now seven. With my last trip in mind, I decided to select five things that I am always glad I have wherever we go, whether it’s a short day excursion or a multi-week trip. Here is my list of must-haves! Please note that there are affiliate links for the items below. I may receive a commission at no extra cost to you. As usual, all opinions are honest and my own. For more information, see my disclosure policy. 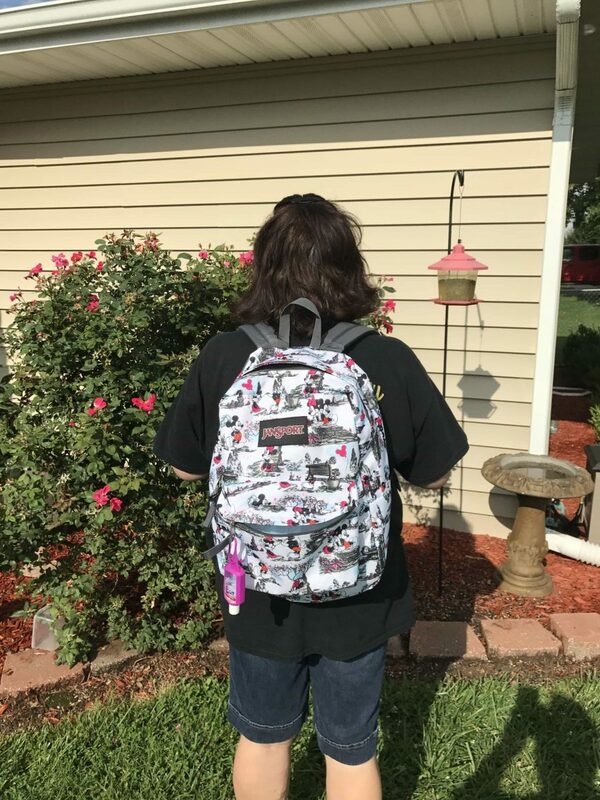 I love my Jansport Disney Superbreak Backpack! 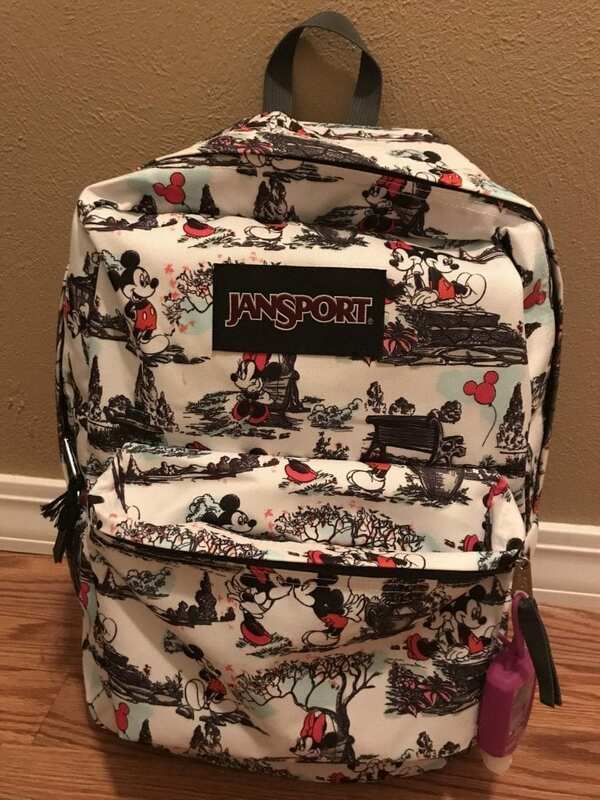 This is a fairly recent acquisition since JanSport just came out with these Disney designs. This pattern is called Day in the Park. When I heard that Jansport was going to launch this line, I knew I was going to get one. 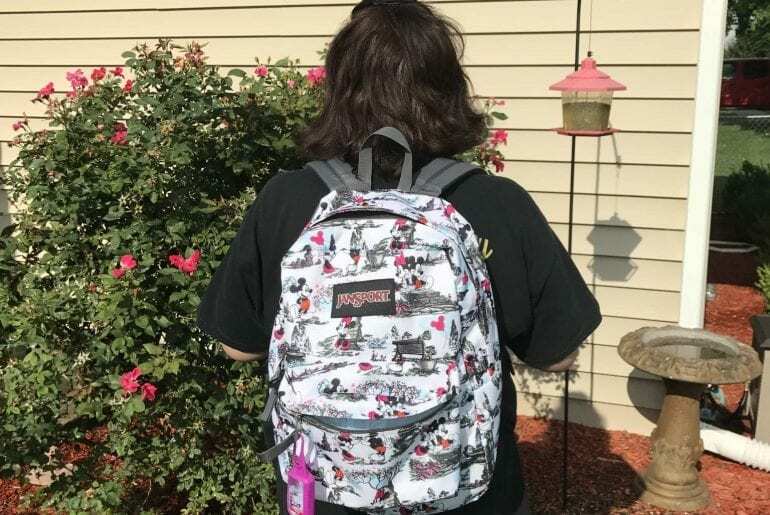 I love just about anything Disney, and I knew that JanSport makes a quality product. I used a hunter green JanSport backpack all through college, and it is still in good shape. I knew I was purchasing a quality product. Could I just use my old backpack? Sure, but I wanted one of the new Disney ones! We actually gave up using a stroller on trips fairly recently. The bag I attached to the stroller was perfect, but it only goes over one shoulder. After a couple of outing with it, I knew it was time to back to a backpack. This backpack is really lightweight, but it is durable. We’ve been taking it places since we got it, and I love it! I still haven’t packed it to capacity. It holds a lot of stuff. I also chose the pattern carefully so my husband would wear it sometime. This one is not too “girly” for him. Note that we added the hand sanitizer later. 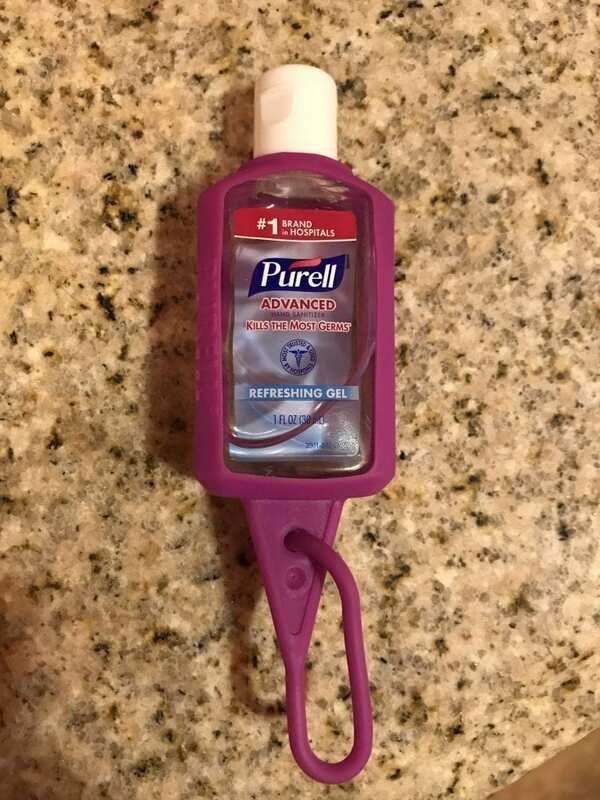 You may have noticed my Purell Jelly Wrap hanging off of my backpack. I have a seven-year-old, so we pretty much need this all the time. Even if we didn’t have a seven-year-old, I would still bring this. You never know when you will need it. We often find ourselves petting animals at attractions or exploring trails in the woods, so you have to be prepared. Port-A-Potty in the national park? No problem! Once, we were in line for the Haunted Mansion at Walt Disney World, and a group behind us asked if they could use some after eating their snacks. I just let them help themselves! I love that I can hang this off of my bag, and I don’t have to search for a bottle inside the pocket or worse, the main compartment. It’s so easy to use. And when it gets low, I simply refill from a larger bottle, so I don’t mind sharing it at all. 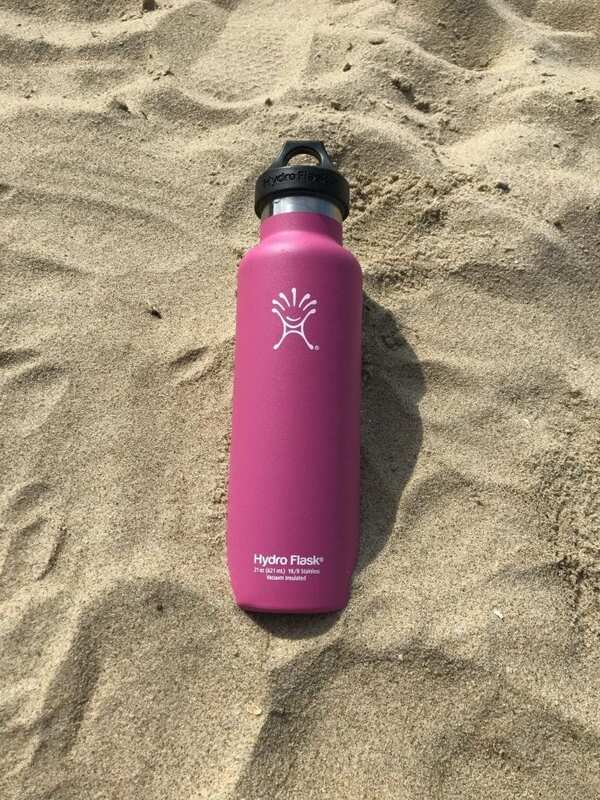 I absolutely love my Hydro Flask ! When we know we’re going to be out in the heat, we bring the Hydro Flask. I first discovered it when I was researching water bottles to take to Disney. I read that it was highly recommended, so I gave it a try. I am so glad I did. After long, hot days of fun, the bottle still has ice cubes at the end of the day. The bottle has never leaked; this is important since I put it in my backpack with everything else. It doesn’t sweat, either. I used to freeze water bottles at Disney and let them melt while we toured the parks. This caused some moisture in my bag, so I use the Hydro Flask now. If my water gets low, I just refill it. I haven’t had to refill the ice unless we ate some of it! I also love that I could get a pink one. They have a wide assortment of colors. I don’t know about you, but I have been on an extended journey trying to find a great hanging toiletry bag. 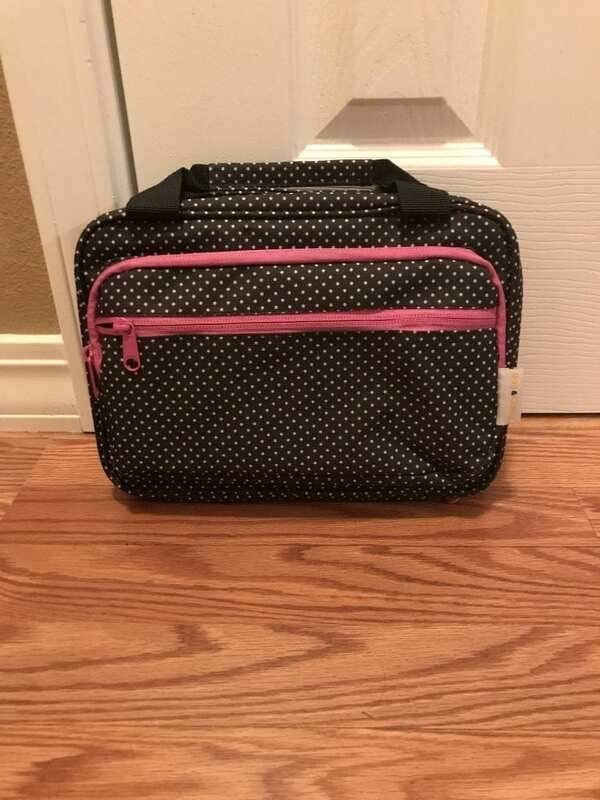 I finally found one– Large Versatile Travel Cosmetic Bag – Perfect Hanging Travel Toiletry Organizer (XL Polka dot) ! This bag has four compartments on one side, and another pocket on the other. I like that the hanging hook is metal so it won’t break like a plastic one. It also closes with zippers; there is no Velcro to come undone on this bag. When you’re ready to move on, it folds up nicely and zips closed. I’ve had several travel toiletry bags over the years that weren’t sturdy or wouldn’t stay closed. This one is perfect for me! 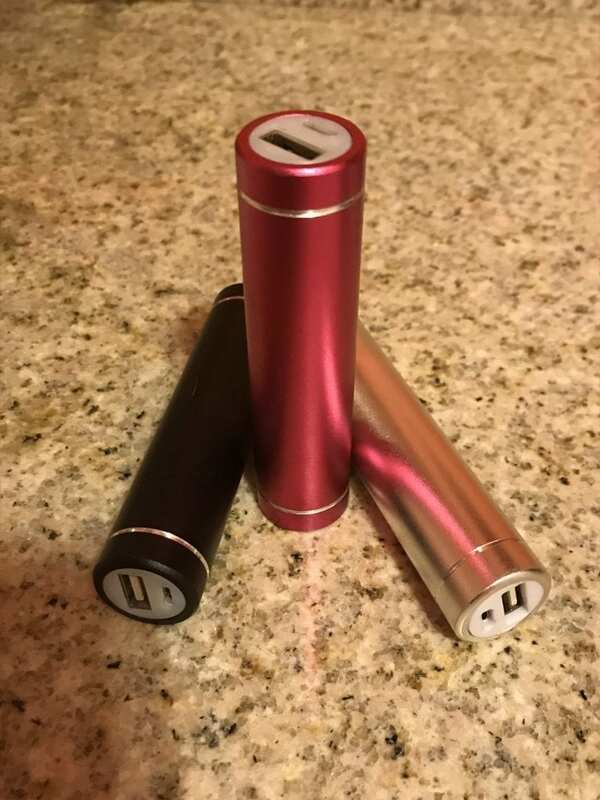 This is probably a no-brainer, but we must have our Hype Power Stick USB Portable Charger when we travel. We use them in the car, and we use them at our destinations. Our seven-year-old liked to use one of our phones in the car, and these come in handy to give the phone a charge without plugging the cord into the front of the car. These are also nice for when your phone needs a boost while you are out and about, and you don’t have time to be plugged into an outlet somewhere. These do a good job of fully charging my iPhone before they need a charge themselves. 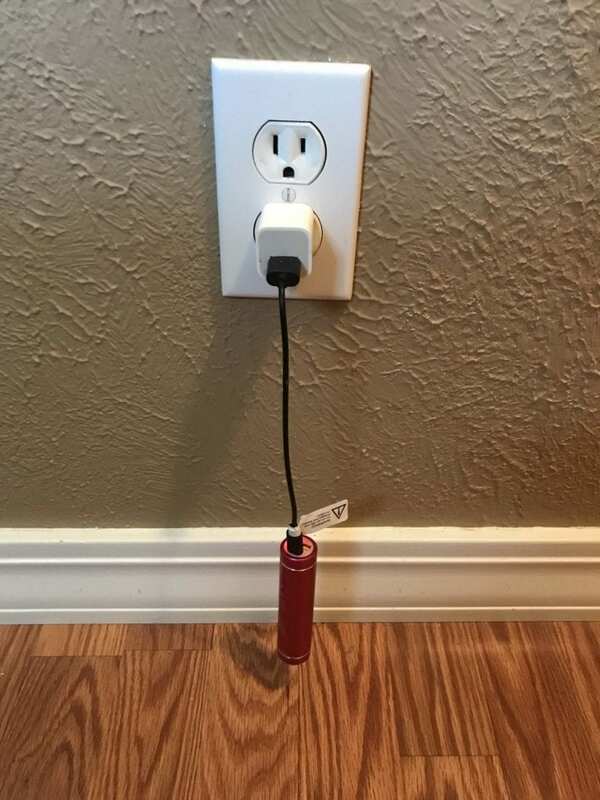 When they need to be charged, you just plug them in. A little red light comes on to let you know it’s charging. It’s not uncommon at our house to see the above scenario at any given time. Also, I’m also glad I could find a pink one! We do have assorted colors so we can keep track of which ones we’ve used and which ones are ready to go. These are the things I wouldn’t travel without, or at least I really wouldn’t want to. What are your favorite things to make your trips go smoother? These are all travel must haves! Love a high-quality backpack, definitely hand sanitizer, a water bottle and some snacks as they are pretty expensive at airports. I would add packing cubes, a few Ziploc bags & toiletry bag with travel-size products to include in carry-on ? This is such a great post! I will be sharing for sure! As much as we go, I’ve never carried a backpack. What a great idea! Beats a purse and holds more stuff! That backpack is adorable! We consider all of those to be must-haves as well… except for the power stick. That is a really great idea! I agree with everything above except maybe the backpack – although I do love Disney too. Mine is more gadget friendly. And I agree with Karla, zip lock bags of different sizes is a must whether it’s a day at the beach or heading out on a 2-week sunny vacation. Great list and I’m sure it could be much longer. 😉 Happy Travels. We really just use the backpack for day trips. If we were doing more hiking or overnight camping, we would probably use a different backpack. 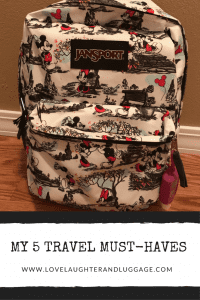 We love Jansport too – but I’ve never seen the Disney range, super cute! My kids are a little younger (and grubbier!) so wet-wipes always find their way onto my “must-have” list, so good for a quick clean up. I understand! I still have wet-wipes in the bag and the car. LOVE that backpack! Also, agree on everything you listed! Great post, thanks for sharing!! Thanks! I love the backpack, too! I didn’t even know those precharged sticked existed! So good to know! This is a great list! Definitely going to be getting some of these items! That’s great! I really do love these items! In love with that backpack! I love the backpack, too. It’s been to several places with us! How have I never heard of a pre-charged power stick?! Great recommendations. They are wonderful! And we recharge them over and over again! Great post Stacey. I agree with you a good backpack, a fully charged powerbank, a water flask and a hand sanitizer are must for any day trips. Yes, these items are perfect for any trip! I need to get number 4! I’ve been seeing them sold at a lot of stores, but I’m so use to using zip-lock bags. Does the bag help reduce spills and stuff? I haven’t really had anything spill. It just really keeps my stuff organized. I do love that bag. 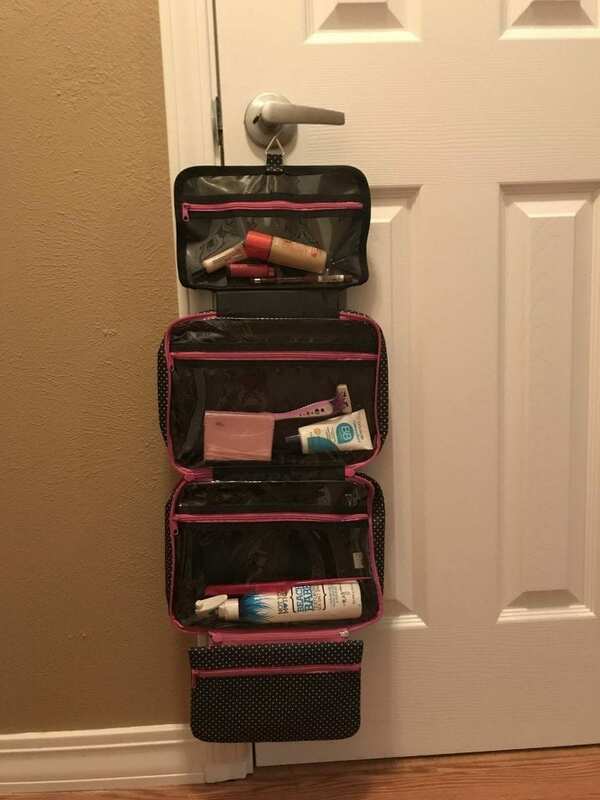 I’ve taken it on several trips, and it’s the best toiletry bag I’ve ever owned!